The Hubby called me at the office a little while ago. I quickly filled him in on all the craziness I've been through today, to schedule a CT scan on my injured hand, and an ortho doc appointment after. He was silent for a beat, then described the disaster left by Manny and Chili Bruce in the kitchen this afternoon. 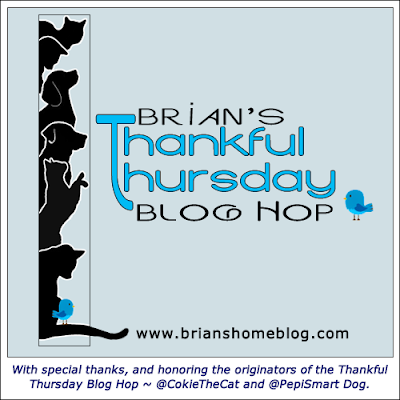 Apparently, those crazy cats managed to open the screen door, and explored everything on the counter tops. They opened the kibble cupboard, and pulled down everything on the shelves! Some items fell, subsequently pushing over the filtered water pitchers, which tumbled down... smashed...creating mighty puddles on the ancient linoleum tile. Water under the stove, broken pieces of stuff everywhere, the whole nine yards! I DID NOT laugh; instead, I made appropriate noises to mollify his hurt feelings. Even offered to come home early, to help with clean up, but he rebuffed me. Although The Hubby WANTED to be mad...he simply could not. Really, he was mad at himself, since it's been clear for days that Da Boyz had been working hard to get that screen door open. Outsmarted by the cats! No photos will be taken of the destruction; you'll just have to let your imagination fill in the blanks. No cats were harmed either...that's the most important thing! P.S. The stairway, scratching post and runway in our house were all designed and manufactured by The Hubby, using wood found around the house and donated by my brother, and flotsam and jetsam gathered over time. We keep tweaking things, like adding pieces of carpet to the steps, because the cats run so fast and were prone to slip. The son of a carpenter, The Hubby has mad skills, plus a basement and barn filled with tools, nails, hinges, drawer pulls, rope, old carpet beaters, doors, windows, cigar boxes of screws, staples, and every other whatnot and doohickey from the past sixty years. Seriously. Please pardon the mess; it was a spontaneous video taken without any forethought to lighting, water bottle placement, exercise equipment storage, etc. Wait to the end; you'll get a rare Hubby sighting! Look what I found in my office this morning!!! They put it up on the wall next to my cat colletion! It's one of those wall decals, and it's the purrfect 'get well soon' gift EVER! From our warehouse supervisor and my friend. My boss's gift, is telling everyone that I hurt myself by smacking him upside of his hard head. 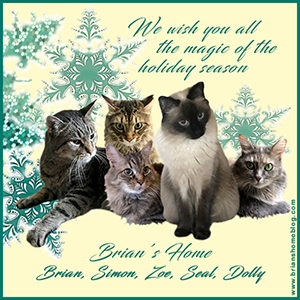 This makes us all laugh, and that too is a purrfect gift. 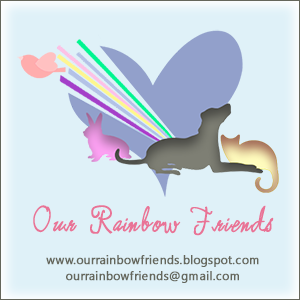 Labels: Sorry to hear that you hurt your paw! The first doctor said I had a fracture. He sent me to an orthopedic specialist, who is pretty sure I have three breaks. My CT scan is scheduled for early Tuesday, then I talk to the specialist again once he's looked over those results. Odds are that surgery is in my future, if doc doesn't think a reset and cast will do the trick. Meanwhile, I'm in a soft cast, with instructions to keep my hand elevated, iced, and rested. Therefore, I may be absent from blogging a bit. I can type one-handed, though, and will miss you all too much to completely disappear! The Hubby says I've got street cred, having gone days with broken bones like a real toughie, but I only hope that they have Hello Kitty bandages! And I have a terrific furry nursing staff...The Hubby included (hardyharhar!) Take care all; I'll do the same. The Hubby erected a screen door at the top of the stairs, so Angel has even more room to traverse. The Hubby did the laundry. I picked up vegan sandwiches on my way home from work, and we dined with relish! The final episode of my favorite TV show "The X-Files" was terrific! Angel is my sweet bunny girl! The laundromat that The Hubby normally uses was closed for renovation, so he drove 30 minutes to the place we used to visit before we got married. Due to long driving time, my clothes are all wrinkled! While working on the frame for Angel's screen door, a board fell sideways and broke a pane of glass in our picture window. The Hubby left the grocery store without purchasing any bread, which was the main reason he'd gone to the store in the first place. The final episode of my favorite TV show "The X-Files" was THE FINAL EPISODE! After watching that final episode of my favorite TV show "The X-Files", I went for my usual neighborhood walk, and managed to trip on an uneven sidewalk flag. My foot bounced back, and I fell face first. My right knee, both palms, several fingers, and a spot on my chin have scrapes, and my left hand is swollen and parts are turning purple! The Hubby is a most attentive helpmate; the bags of frozen produce keep coming, to ice my hand. I will see a physician if the pain or swelling do not improve. The Hubby fed all cats, and scooped the litter boxes too. Manny and Chili Bruce are helping too, by sitting on the laptop as I type. Angel will purr for me as I rest in bed. Yep, it's ugly! Where do I go to cafe'? Why, to Catfe' Lounge of Ferndale, Michigan! A part of the Ferndale Cat Shelter, Catfe' Lounge allows adoptable cats and kittens to roam freely, so potential adopters can meet their new family member, looky loos can look, and folks like me and my friends can visit and simply get their hands all over more CATS! No names, please...most of these kitties will all be adopted before this post is published, but we had a terrific time playing with them, and engaging with other cat people, plus there is a gift area too. Yes, I've posted about The Catfe' Lounge before, here and here, but why wouldn't I want to go back time and time again? All that cat play made us hungry, so we next 'cafe'd' at Three Cats Cafe in Clawson, Michigan! The food is excellent and freshly made, and the ambiance is terrific. There are yummies to fit anyone's taste buds; even my vegan ones. Another purrfect cafe' for our day! "Here's A Tip: All Gratuities Go To Charity"
Now, how cool is that!?! The Vernal Equinox is today; we've all waited for Old Man Winter to retire, and today it happens! Regardless of the continuation of cold weather, at least we know things are on the right track. In addition, today is another anniversary, of sorts...it's my natal day! Too many years ago to count, but it's a thrill to be associated with the change of seasons. Long ago, I worked for a company that gave every employee a paid day off on their birthday, and I've continued that tradition for myself ever since. In the summer of 1980, I traveled to Ireland for a 33-day excursion as credit-earning class, which helped earn my bachelor's degree. If everyone is Irish on St. Patrick's Day...or St. Gertrude's Day, who is the Patron Saint of Cats...then anyone who has traveled to Ireland is an honorary Irishman or woman forever. Having breathed the Irish air, put my toes into dark Irish rivers, eaten Irish-caught wild salmon and butter fresh from Irish cows, and tasted a few *wink* pints of cellar-temperature Guinness Stout while chatting with the locals at a pub...I figure I'm as Irish as anyone else! Looking through crummy photos taken on that trip, I cannot remember a great chunk of what we did, other than: traveled for seven days by bus, sight-seeing monuments, natural and historic sites; spent two weeks at Trinity College, Dublin, attending classes on Irish history, arts, archaeology, literature, and current events; ten days of bike-riding and bed-and-breakfasts around The Dingle Peninsula (where they still spoke Gaelic); and learning to enjoy 'soft' days (misty rain), roads covered in cow pies, astronomical gasoline/petrol prices, and visiting abandoned monasteries, church yards, cemeteries, ancient Irish mounds, and 'leapin'-the-bogs' and sheep trails. And did I mention, that drinking Guinness was a fairly LARGE part of my travels in Ireland? When it comes 'straight from the cow', Guinness is smooth, delicious, and quietly inebriating. Best enjoyed when in the company of acquaintances, while you converse, tell jokes, and pass the time. So, I know of what I speak when I say that Patrick O'Malley's fur is the color of Guinness, and his eyes are Irish green! On March 19, 2012, I caught the feral tabby boy who'd been hanging around the yard for months in my drop trap. On March 20th, I transported him to All About Animals Rescue, for neutering and a rabies shot. While in line with other TNR people, I told them that I'd named him Patrick O'Malley, because of his green eyes, and fur colors that matched a freshly poured pint of Guinness Stout. Everyone assumed it was also because St. Patrick's Day had just been celebrated, but we'd been called him Patty O' for a while by then. 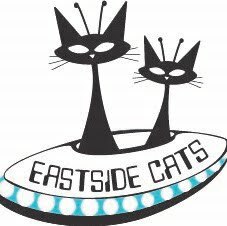 The PO'M quickly became a HUGE part of our lives at Eastside Cats. Our usual daily food bowl visitor, Hobo, had stopped appearing, and we feared the worse. We didn't know that he'd simply found a new food source down the alley at a neighbor's house! When I finally discovered Hobo living happily and healthily about a half a block over, that feeling that I'd allowed The PO'M to supplant him eased a little. Although not really a St. Patrick's Day kitty, The PO'M is close enough, and it's a day to celebrate Spring, and all that Mother Nature brings to us. Received a terrific gift in the mail, from my friend Erica! A cat card, cat earrings, and a photo of her two ginger boys, Eric and Sparky. sometimes it's hard to tell which is Eric or Sparky! Erick and Sparky are now a part of the Cat Gallery at the office! Thank you, my friend, for your thoughtful gifts! 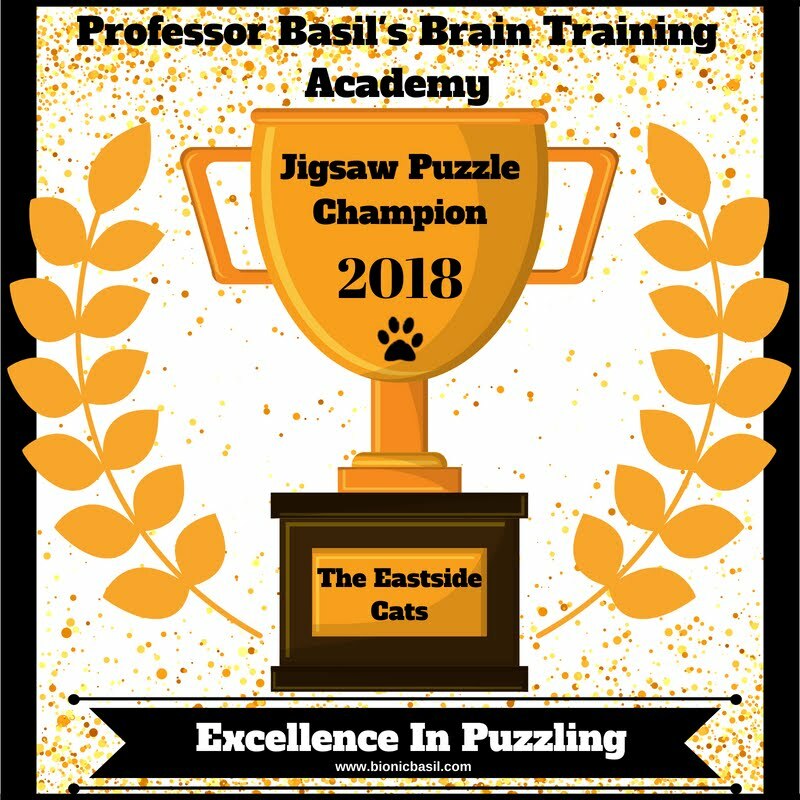 Why do my non-cat friends keep sending me this advertisement? Nope...and nope. 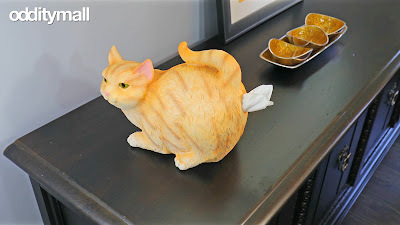 Any cat lover has enough cat starfish stories in their lives, but ain't NO WAY that I need a tissue dispenser like this! If you think this is adorable, please get one! If I ever visit your home, I will accidentally knock it to the floor. We have been practicing site swapping, with Angel upstairs, then downstairs, and Da Boyz downstairs, then upstairs. If they ever met on either side of a closed door, there was hissing, growling, and paws flying. And Angel was meowing, meowing, meowing all day long, no matter where she was. Therefore, The Hubby and I decided last week that everyone will be kept apart. Angel now is full time upstairs, living in the area that used to be an apartment. There are four rooms, plenty of windows, perches, beddies, toys, etc. This is where Angel and Chuck used to live when they first came home with us as wee kittens. Angel is also on a mild mood stabilizer, temporarily. Manny and Chili Bruce occupy downstairs, which includes the front room, dining room and back hall (and the kitchen, if some person forgets to latch the screen door), with many catification climbers, scratchers, boxes, beddies, toys, windows, and of course, the human(s) during the daytime. When it's meal time the humans, we 'park' them in the front parlor, so we can eat in peace without two cat noses in our vegan sloppy joes, salads, or oat meal. 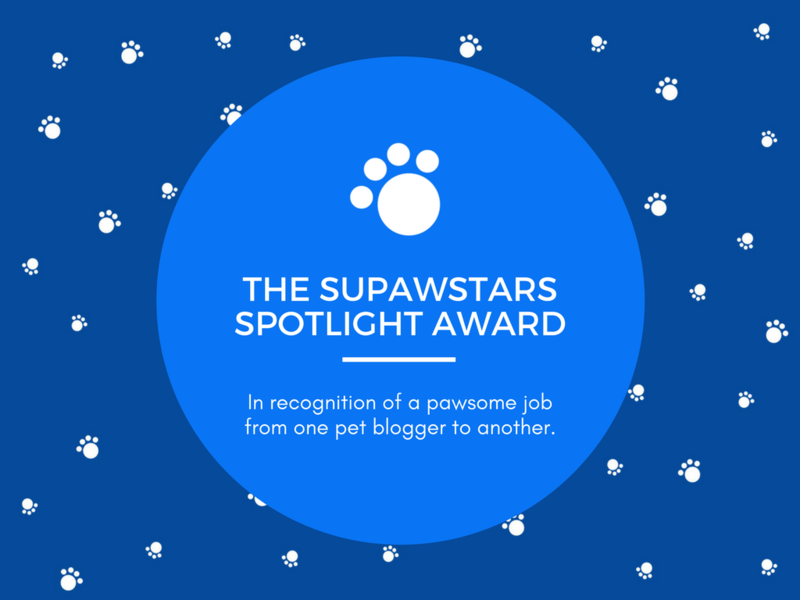 Both cats have each grabbed a sandwich right out of our hands, and run off with it, and who cannot forget The Struggle Is Real post! 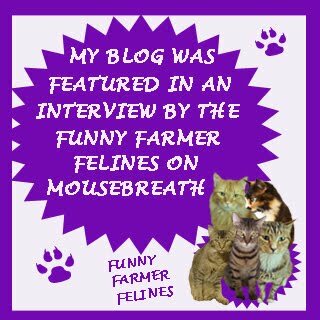 Thank you Pamela Merritt from The Way Of Cats Blog, for answering my questions, and being encouraging when we were at our wit's end. Point of note: Feliway Diffusers have done nothing. 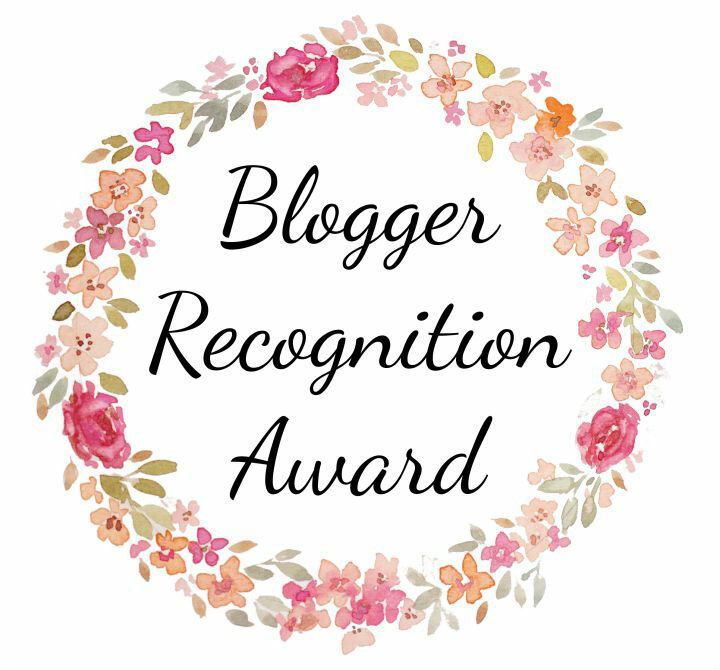 Thanks also to all of my blogging and non-blogging friends, who've offered one-on-one encouragement, and the benefit of their own experiences with similar situations. You know who you are, and I appreciate all of your help. This situation is far from settled; we will keep working with Angel, Manny and Chili Bruce to see if relations can be re-established. For this past week, this new set-up has worked. No humans are being driven from the house, and no cats are ready to attack...well, except Da Boyz who must have a tussle or two every day. Brothers...!!! Road Trip Hop; Happy 16th Birthday, Madi! 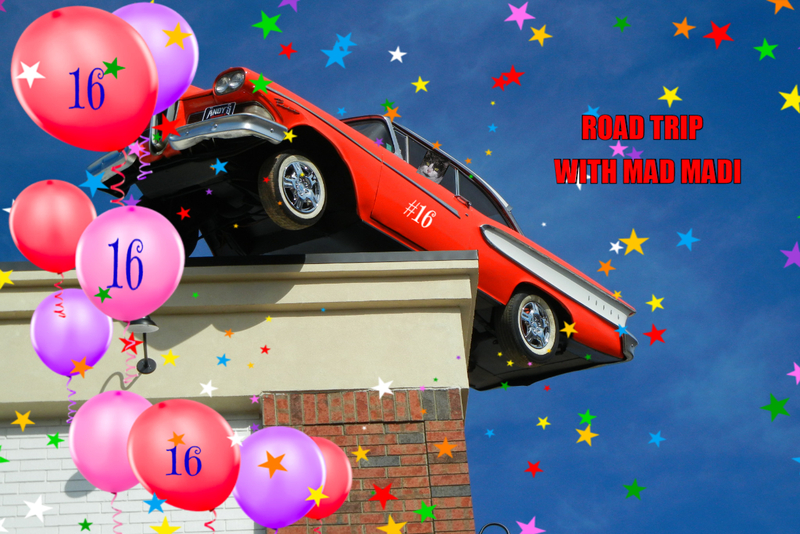 In honor of our blogging pal Madi whose 16th birthday is today, we are joining The Road Trip Hop! In August, 2004, The Hubby and I jumped into our old Toyota Camry, and drove for hours, it seemed, to pick up a couple of kittens. My brother's co-worker's cat had had a litter of four kittens: two black, two black-and-white. We were the first to arrive, so we picked one boy (black) and one girl (black-and-white). Knowing NOTHING about kittens, cats, or anything, we'd only brought along a cardboard box...with no lid. I sat in the back seat, box in my lap, holding two squirmy kittens as The Hubby drove. The girl kitty would not be held down; she climbed the back of the driver's seat, and up onto The Hubby's shoulder! Meanwhile, I looked over the more-dark-brown-than-black kitten in my hands, and that's when we thought to name him "Chocolate", which later turned into Chucky. In May, 2004, my father had passed away, so Angel was named for him up in heaven. of life continue for a long time! I knew that Manny was our Ar-teest, but when The Hubby was sweeping up...fur balls and performance art detritus...Chili Bruce jumped in to share his own skills and passion! Therefore, I have a new 'canvas' for them to work on! A blank canvas, ready to become art! Thank you, The Daily Pip for this wonderful Smiling Paws Pets Expandable Soft Sided Pet Carrier! It's crazy large, and there are plenty of configurations and set ups to satisfy any furry friend. Although airline approved, it's most likely our carrier will house napping cats at present, but it may spur us into jaunts with Manny and Chili Bruce. They like the box, at least! Again, thank you The Daily Pip and Smiling Paws Pets! Trust me, any future fun with this carrier will be duly photographed and posted about. The PO'M's ear right ear is battered! Patty O'Malley's wound is healed, and I cannot thank you all enough for recommending Veterycin spray! His fur is growing back in; the color is very dark, and there is a small patch that may remain bald. His right ear has a new healed notch as well So, it's time to stand down my concerns. Now, just lovin' on The PO'M is my duty! You have no idea how wonderful it feels to touch his belly! 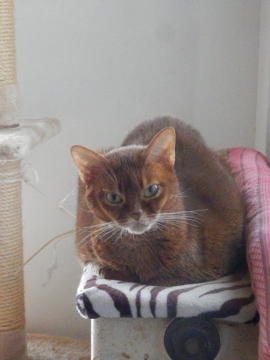 The Blogosphere lost our beautiful Sei-Chan from The Poupounette the weekend. Please stop by and leave #1, and the rest of the four-footed family, your kind remarks. Angel Sei-Chan left us in a hurry, but she'll be sorely missed for forever. Found this book by accident, as I was scrolling through available audiobooks at my local public library. Now I am a NeilGaimanaholic! Truly, I cannot describe the story line much, without giving a lot away, but it involves a man who remembers pieces of his childhood, beginning when an Australian opal miner steals his father's car. The car is found later at the end of the lane. During his youthful travels, the boy befriends a family of women, who say they lived before the moon was hung in the sky. And, that the pond on their land wasn't a pond; it was really an ocean. And here's the best part: there are cats in the story! A black cat, with a spot over one ear, named...appropriately...Ocean, and who was a kitten at first, but age doesn't move linearly in that part of the world! 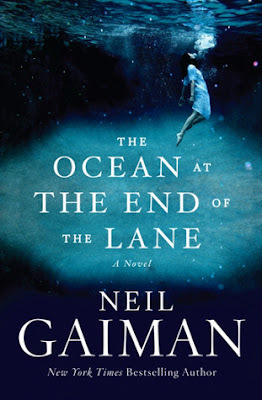 The boy loves his cat, and now that I've read a few other Neil Gaiman stories, I find that the author must be a huge cat-lover, because felines are sprinkled into all his tales. I listened to a recording of this book, read by the author himself, so perhaps his own voice, reading his own words helped to sweep me along into this land of adults who don't understand, and children who do. However, I heartily recommend it to anyone; you will find it a page-turner! Some kitty continues to work on his performance art. The box edge gets 'sculpted' daily, and the cardboard bits are carefully arranged across the gallery floor. A sheet of tissue paper was donated for this performance, however at this time, the artist has not yet incorporated drooly globs of pink paper to his creation. Suggestions from the gallery owner on neatness and quiet in the early morning hours, have gone unrecognized. Some kitty also prefers to remain anonymous, perhaps revealing himself once the installation is final.